Following their attendance at the Image awards, Kiki Layne and Sanaa Lathan hit the red carpet for HBO's 'Native Son' premiere yesterday evening(April 1st) at the Guggenheim Museum in New York. 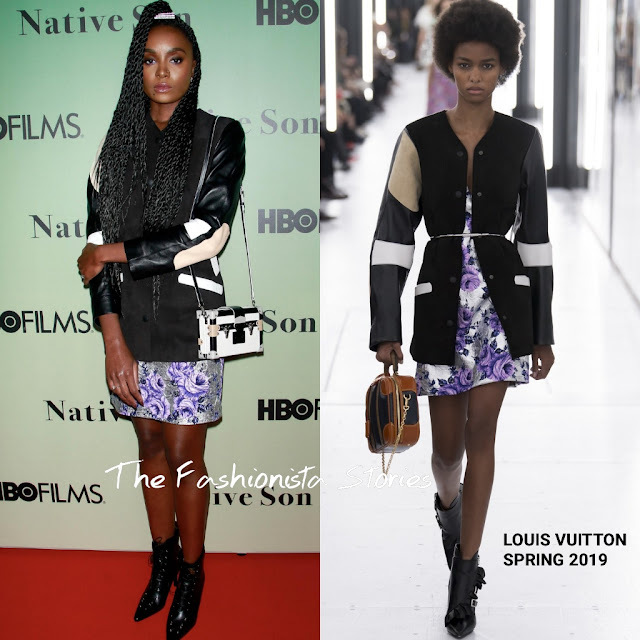 Kiki Layne was head to toe in LOUIS VUITTON SPRING 2019, which featured a suede & leather panel jacket, a floral printed mini dress, a shoulder bag and black boots. In all of her images available to me, she posed like this but nonetheless, she looked great and her beauty look was flawless. 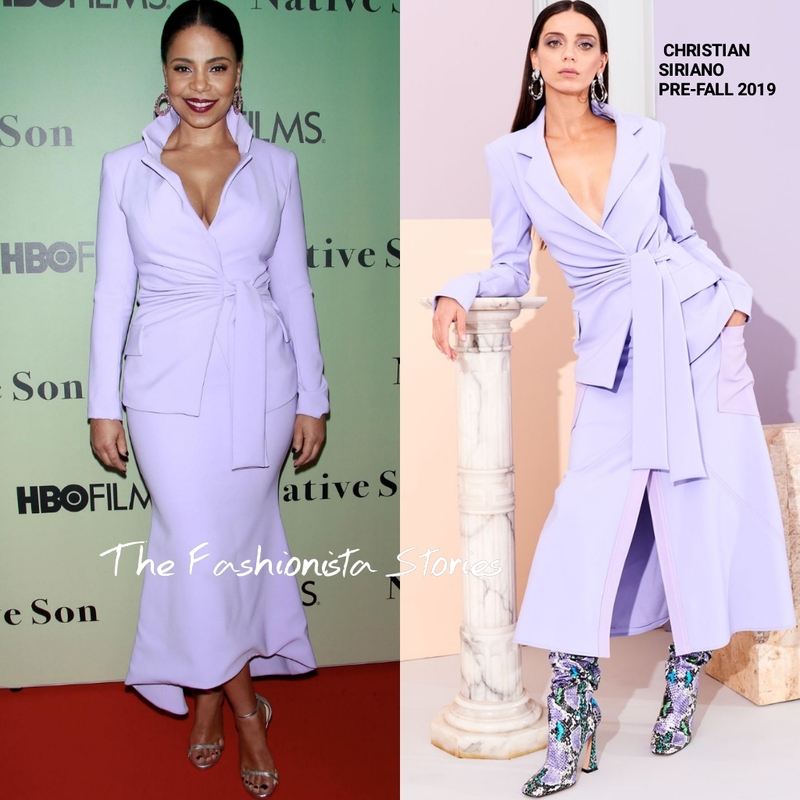 Sanaa Lathan looked divine wearing a lavender CHRISTIAN SIRIANO PRE-FALL 2019 belted top and matching skirt. I am glad that she chose that berry lip color because it worked perfectly against this lavender hue.